The Valley has amazing comic shops that we frequently check out for all of our comic-book needs, and we do what we can to support them in the form of letting you friendly folks know what events they put on. We just found out that our friends in Easthampton – Comics N’ More – have had some problems with being charged double by Diamond for the books they’re putting on the shelves, and the refund process has involved even more annoyance and extra charges. Small businesses operate on really tiny margins, and Comics N’ More could use all the help they can get at the moment. They help make Easthampton a neat place and we want them to remain as healthy as possible. As a personal favor to us, the people you respect and admire the most, head down there as soon as you can to pick up some books! 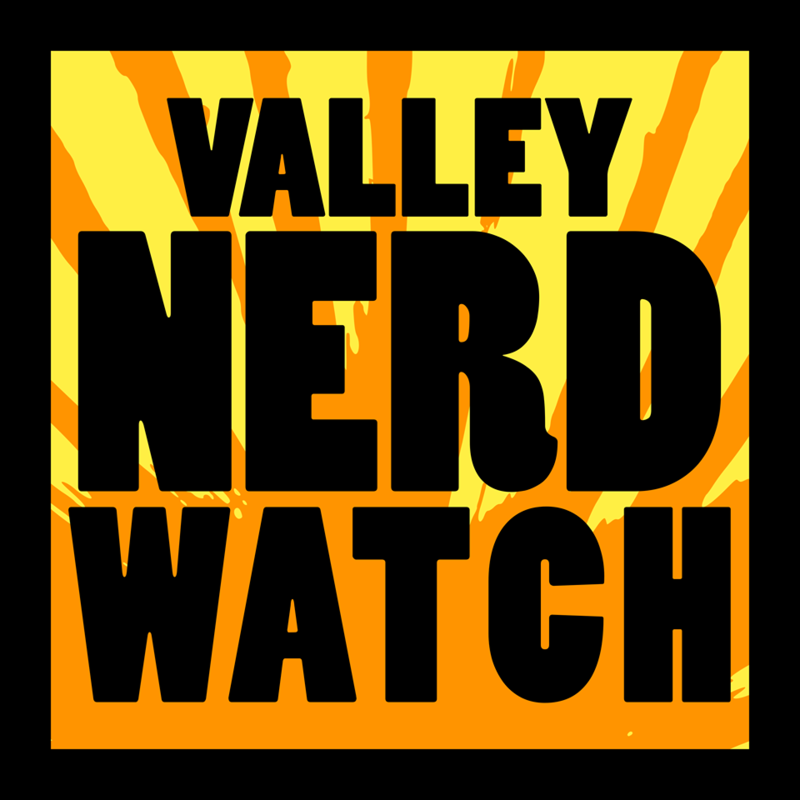 If you’re able help out this lovely local shop, let us know what books you got this week and what you think of them and we’ll send you a free Nerd Watch sticker in recognition of your truly exceptional watching over of local nerds. But I don’t read comic books: Well, you’d like them. We know that because odds are you’ve liked any popular culture in the past decade. What we’d recommend is that you head down and grab a big old digest book or Trade Paperback of some interesting period in comics history. Don’t sweat it if you don’t think you’ll know the whole backstory of everything, 99% of the time the only thing that matters is how much fun the writer and artist of the thing you’re currently reading are having. But I get my books from a different place: Well, just help out for a bit, it doesn’t have to mean you switch forever and ever. It’s better to have alive comic shops than not alive comic shops you know? Okay but I’ve got basically no money: Oof, we hear you. Well, you know your budget best, and if you can’t buy anything we get it. Maybe check with the friendly staff about using their back room for a game meetup! You get a nice place to play, they get several of your pals in the shop to take a look around. Maybe your pals have money? Either way, you’ll generate the sort of festive atmosphere that helps passerby decide to take a look.